It is no secret that the Japanese is a culturally-driven society with a strong emphasis on traditions, respect and courtesy as practised for generations. As such, it goes without question the continuation of the values placed on religion, filial piety and all that is virtuous. It is undoubtedly one of the most courteous and mannered societies in the world; adding to their already bursting list of superlatives attributed to their nation. 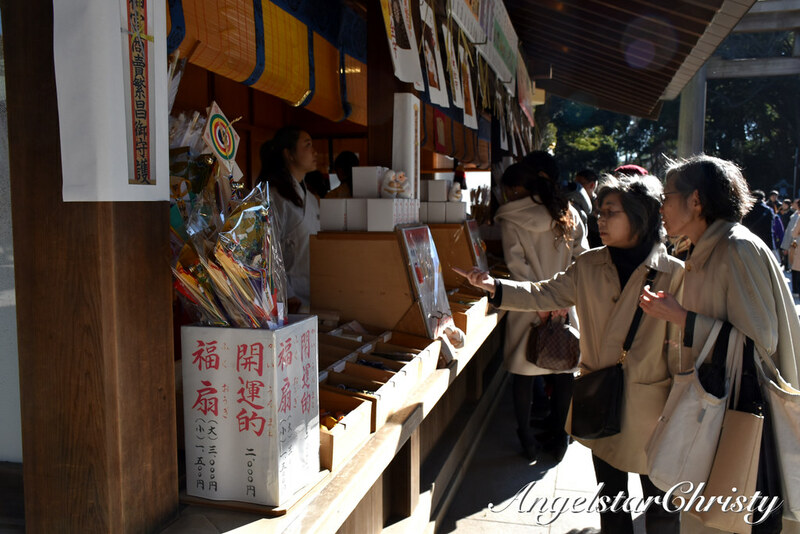 Therefore it is common to find an abundance of temples and shrines around the country; dedicated to the religious worship and commemorating their respected ancestors. They are staunch believers devoted in honoring the deities and those who were before them. Following God and their deities, the most respected figure in the Japanese society would definitely be their Emperor. The Japanese are a devoted and loyal lot to their Emperors; whom they view deserving of the same level of respect as the gods and deities. In fact, the Japanese emperors are almost godlike, as viewed by their people and as made known to the world. One can only imagine the honor the people bestow upon their Emperor. It is beyond respect when it comes to the Japanese emperors. It is definitely no joking matter, and the Japanese do not take any insult towards their ruler lightly. 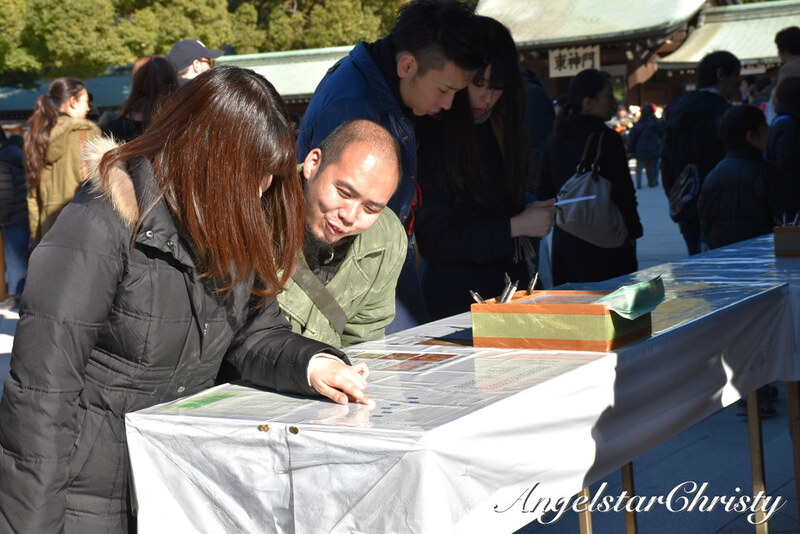 Meiji Shrine, or locally known as Meiji Jingu in the Japanese language is a shrine dedicated to one of Japan's most powerful and influential emperors. Emperor Meiji(明治天皇 Meiji-tennō?, November 3, 1852 – July 30, 1912) is well known for his golden era; the Meiji Era or the Meiji Period. While Emperor Meiji was, in the line of succession, the 122nd Emperor of Japan; he was actually also the First Emperor of Modern Japan to which his era was attributed to. It was during that time when Japan took on the transition from the former isolated feudal system to modernization; to Japan as we see today. Many would probably say that Emperor Meiji; formerly and personally known as Prince Mutsuhito (his personal name, which was never in use in any official or written context due to his status as emperor) during his birth in 1852, was born at the right time. It was the time rightful for a change in Japan. Born to the reigning Emperor at that time; Emperor Komei, and his concubine (gon no tenji), Nakayama Yoshiko (who was also the daughter of the acting major counselor, Nakayama Tadayasu), the prince was given his birth name of Sachinomiya; also known as Prince Sachi. He was not born in the palace; due to the belief that birth was considered to be inauspicious and polluting at that time, as most imperial princes, the young prince's birth took place in his maternal grandfather's house. He officially assumed his crown prince title in 1860; whereby his name was then changed to Mutsuhito(睦仁). One of the dramatic and symbolic events during the prince's birth; signifying the time for a change in Japan was the event of the "Black Ships", led by Commodore Matthew Perry, which sailed into Edo (a harbor) a year after his birth in 1853, to demand for the opening of Japan for trade. This was probably the initiating point of converting Japan from the formerly isolated feudal style of governance to opening up the opportunities and interaction with the rest of the world, as the series of events follow (read more about the events here and here). Emperor Meiji has brought many changes to ancient Japan; and transformed Japan into her modern facade until this very day. The transformations and implementations are significantly reflected in various historical events mentioned; one of such is the famous Meiji Restoration. It is therefore the very reason that Emperor Meiji is also known as Meiji the Great(明治大帝 Meiji-taitei), and his era was unofficially termed as one of the golden eras and the key starting point of modern Japan. 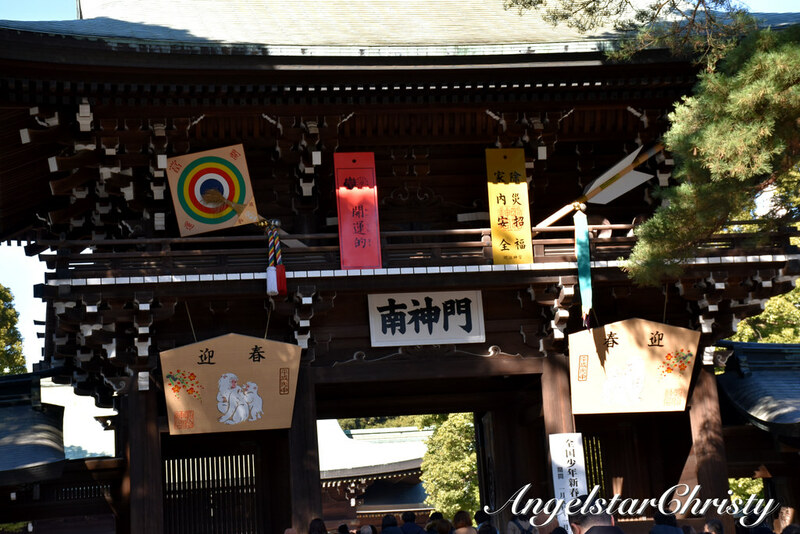 Meiji Shrine is dedicated to the honor of this late great emperor; the Meiji Emperor and his wife, Empress Shoken, whom the Japanese honor in their deity forms. (In Japan, the title of "the Emperor" is only used in reference to the existing reigning emperor, and deceased emperors are always referred to by their reigning name. Therefore the right salutation in this case is 'the Meiji Emperor'). 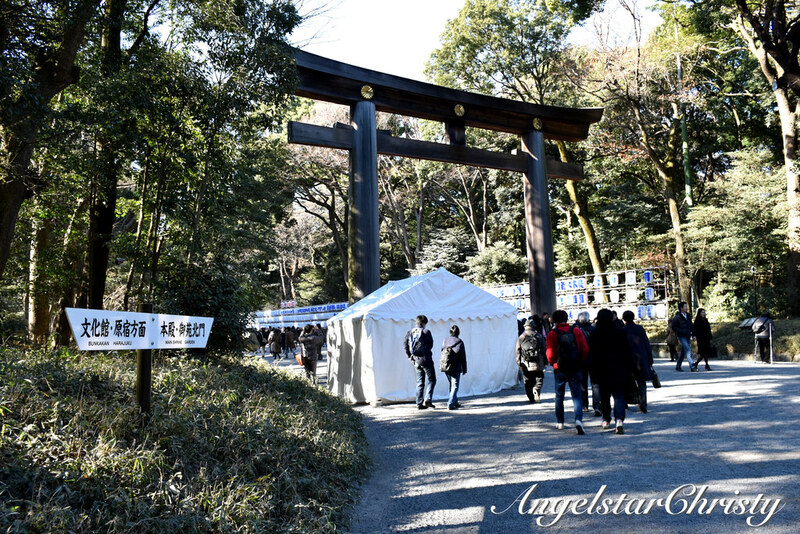 The shrine is uniquely built in a dense forested area; in the midst of the city located in Shibuya and right next to the popular and bustling Harajuku district. It is quite a transition; for it is as though one has walked into a different dimension altogether upon crossing the street from the busy shopping area or upon alighting from the train station. Possibly the kind of experience where one goes into the back of cupboard and ends in a world of magical kingdom (cue Narnia). One moment you will hear the whirring of the vehicles on the road and buzzing traffic, then the next minute you find yourself surrounded by tall trees closely huddled together with cricket sounds and songs of tranquility in the background. Gone are the earlier scenes of the city and the sounds from the roads. Nada, you are right in the middle of a dense forest. Except for the fact, the city is in reality, just right beside this forest. It is an illusion, but a magical illusion at the very least. You won't even think you're still in Tokyo, literally speaking. You won't feel like you're lost when you step into this forest, for you will find that you're not alone. There are many others around you; taking that same walk through the forest, carefully stepping on the pebbles and stones making up the grounds where you will inevitably find your shoes covered with dust halfway through. 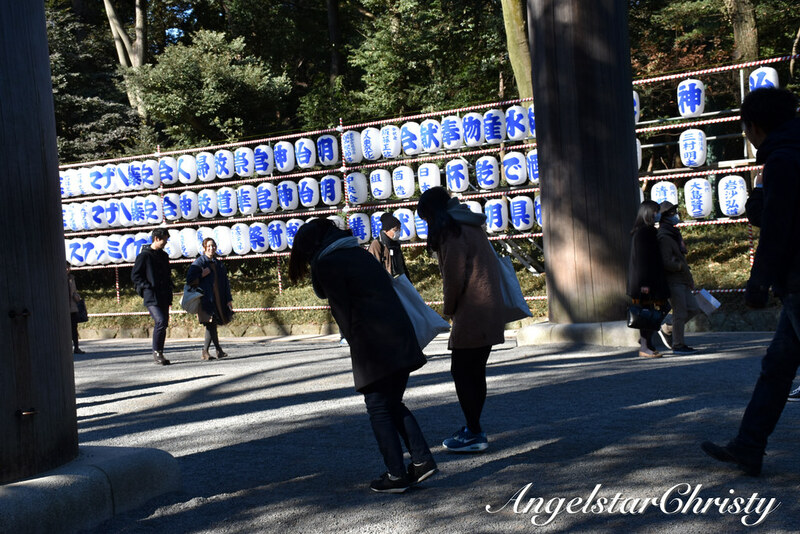 You barely feel it is a long walk; though it lasts 10-15 minutes through the forest grounds made up of trees which were planted during the construction of the shrine in 1920. 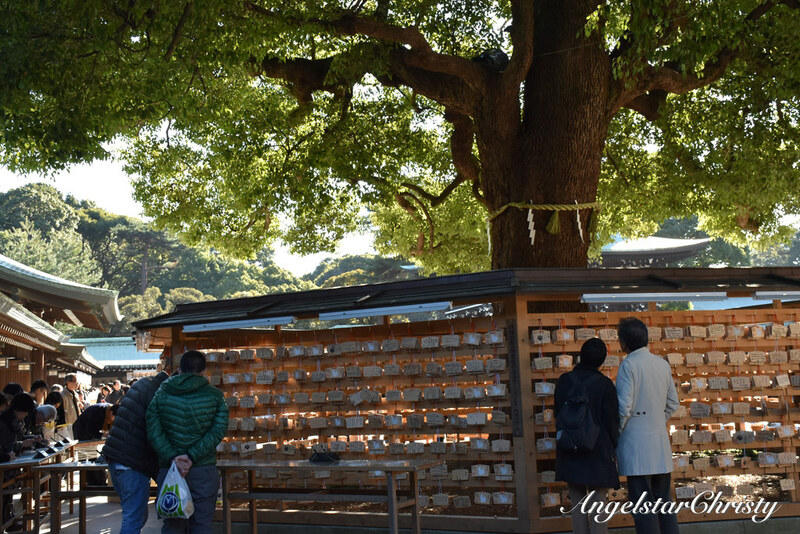 There are more than 100,000 trees on the grounds; which were planted and also sent over as donations by the various regions in the country for the purpose of the shrine. The very ground of this shrine was formerly an iris garden; said to be one of the favorite places of the Emperor and his Empress, where they frequently visit. 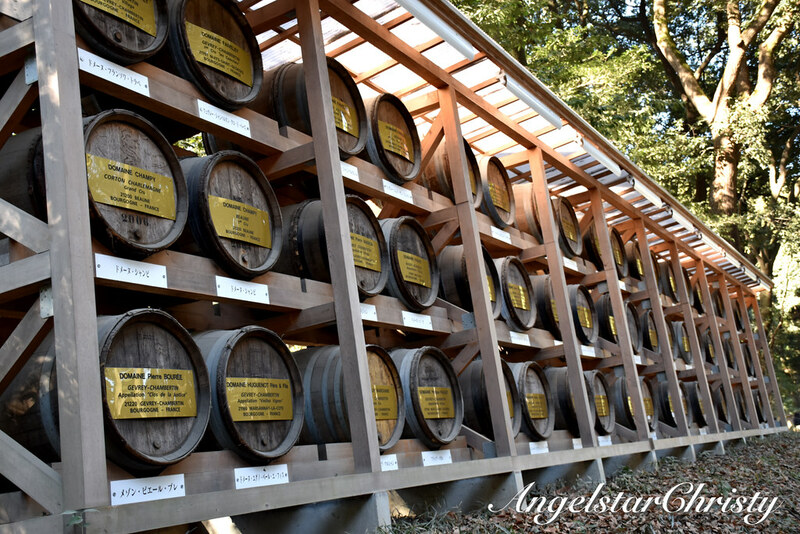 You will walk past trees, gardens, parks and even an iconic arrangement of huge sake and wine barrels placed adjacently high, found on both the right and left hand side of the path respectively. It is more than enough to capture anyone's attention. These sake barrels (nihonshu) are donated by the Meiji Jingu Nationwide Sake Brewers Association every year, while the wine barrels are shipped a long way from Bourgogne, France. It is a sight hard to miss. (Note: The Sake barrels are on the right and the wine barrels are on the left). This is said to be one of the Empress Shoken's favorite spot; where she frequently visits. The best time to visit this garden would be in June, during spring, when the flowers are in bloom. 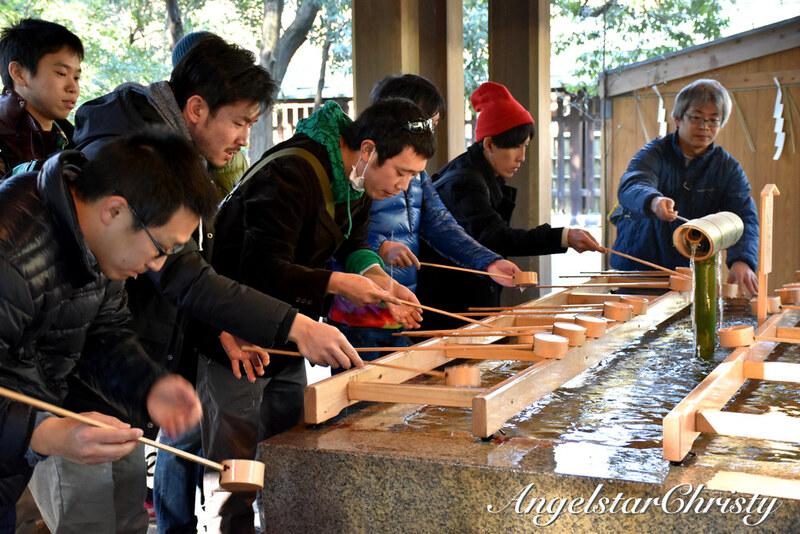 There is also a popular well in the garden; 'Kiyomasa's Spring' (Kiyomasa Well - Kiyomasa no Ido); known for its cosmic powers which can bring positive energy to its visitors. 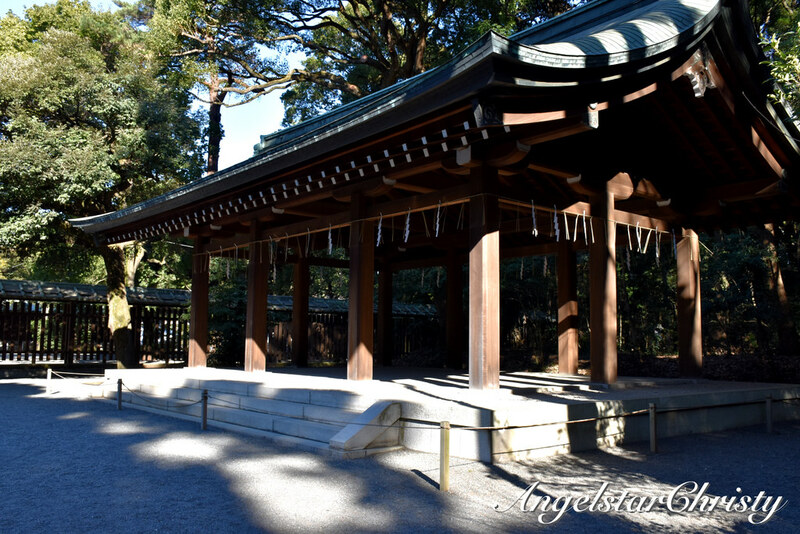 It was dug up by a famous military figure; feudal warlord Kato Kiyomasa, after whom the well is named after. 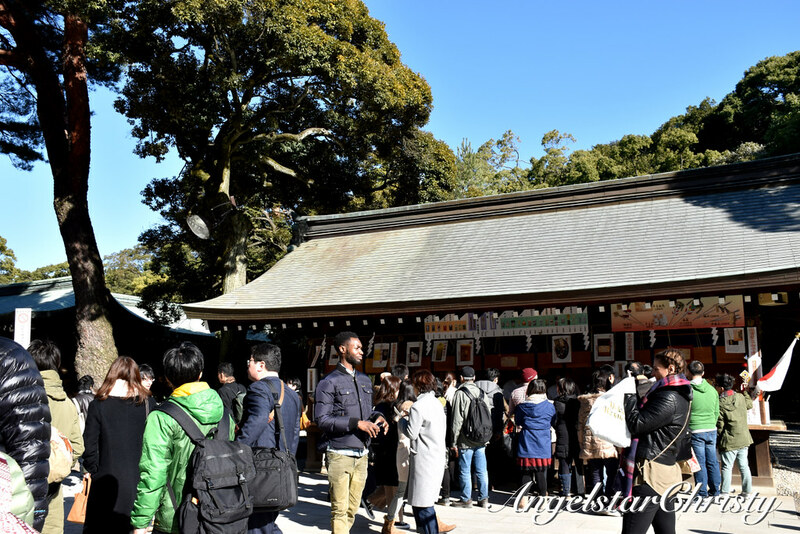 The site shot to stardom following a television program featuring people who claimed their luck improved following their visit and even using the photos of the well as their background photo on their phones. Mystical or not, it is a choice of faith. 3. The traditional gate to a Shinto shrine; the Torii. You won't miss it as you approach the main entrance of the shrine. They are huge and arched in a grand manner, hovering above the grounds. There are in total three of them; along the walk. (I mean the Torii; it's just pure coincidence that there are three women dressed in traditional costumes standing before the mentioned Torii). 4. 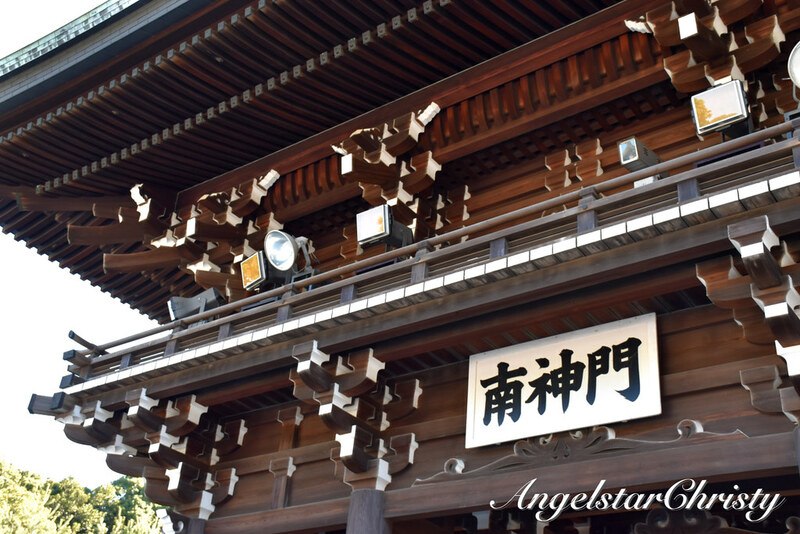 The architecture of the shrine is constructed in the traditional form of nagure-zukuri style with emphasis on the use of Japanese cypress and copper. It is fascinating just looking at the architectural design and photographic (or Instagram) worthy, I promise you. 5. The Naien; inner precinct where the shrine buildings and the treasure museum (built in the Azekurazukuri style) are located. The Treasure museum is where you can find articles belonging to both the Emperor Meiji and Empress Shoken. 6. The Gaien; outer precinct where the Meiji Memorial Picture Gallery(Homotsuden) is. There are 80 illustrated paintings depicting the lives of both the Emperor and the Empress in this gallery. There is also the National Stadium (Meiji Jingu Gaien Stadium); subsequently the Tokyo Olympic Stadium since 1956 and the Meiji Memorial Hall (Meiji Kinenkan) where governmental meetings and official discussions take place during the late 19th century. It was here where the Meiji Constitution was drafted then. Today, the Memorial Hall is used to host shinto weddings and meetings in their available-for-rent conference and banquet halls (for multipurpose use). 7. A traditional wedding ceremony, if you're lucky and happen to coincide with one during your visit which is not uncommon here as this is one of the popular spots for weddings to take place; particularly on weekends. A traditional Japanese wedding ceremony is colorful while solemn at the same time. While the entire wedding may not be caught in action, a glimpse of the bride and groom dressed in traditional Japanese costumes (bride in kimono; groom in hakama) under a big red parasol (popular in Japan), led by a priest and miko (women assisting the procession) is enough to send tourists and visitors in a frenzy as they rush to capture the scene. Be mindful though; as this is a wedding ceremony and there should be no disruptions even if you want to capture your photographs. There will be crowds, therefore, just catch a glimpse if you can make it through the crowds but if you can't, you will have to live with that. 8. Many events throughout the year; depending on your time of visit. 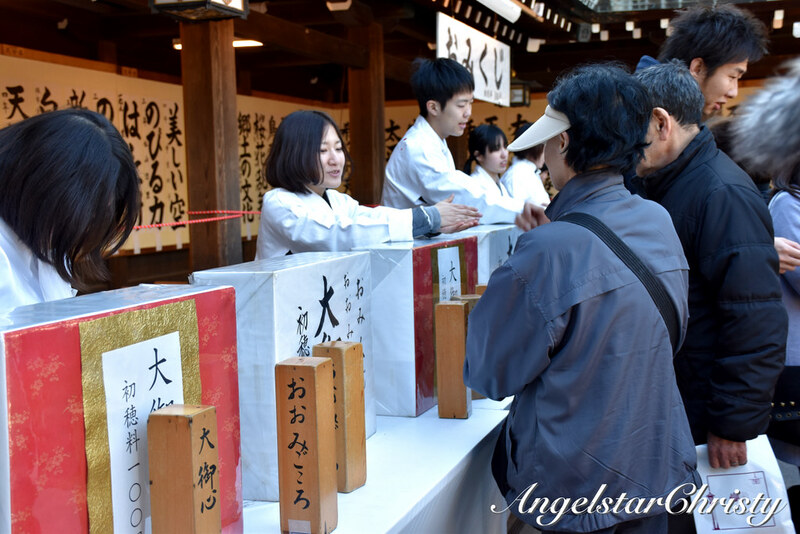 Cherry Blossom (Hanami), sumo ceremonies, Japanese horse archery, and religious ceremonies. If you happen to be there in December, especially approaching the end, there will be New Year prayers. 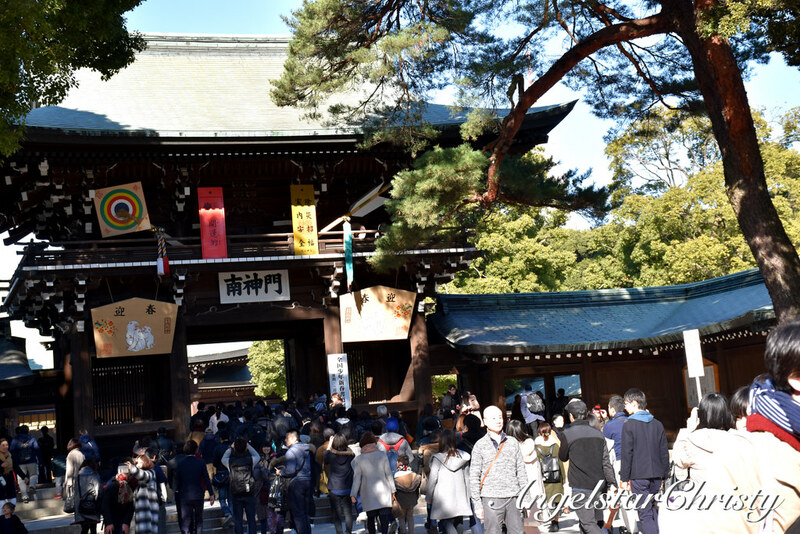 However, this is also the most crowded time of the year and even getting to the shrine could be longer than usual; i.e: your 10-minute walk could turn into an hour due to the crowds. 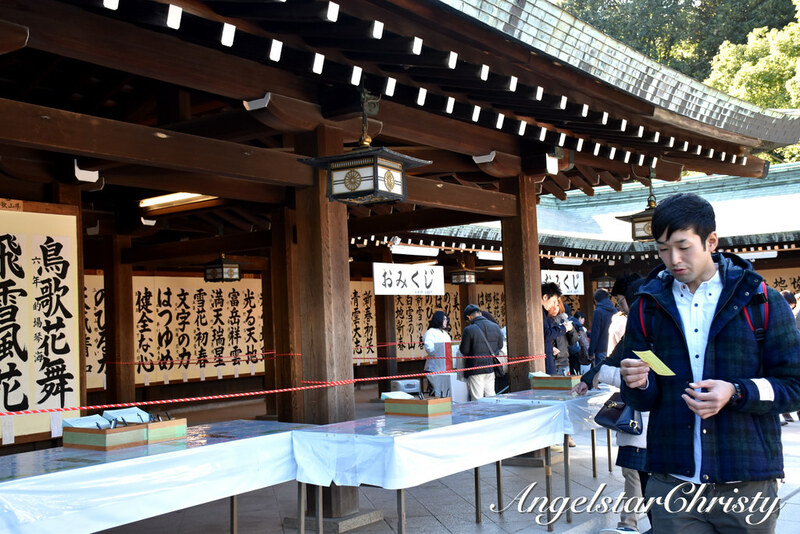 Besides the evident physical architecture and buildings to look out for, another interesting part is to observe the cultural practices taking place at Meiji Shrine. 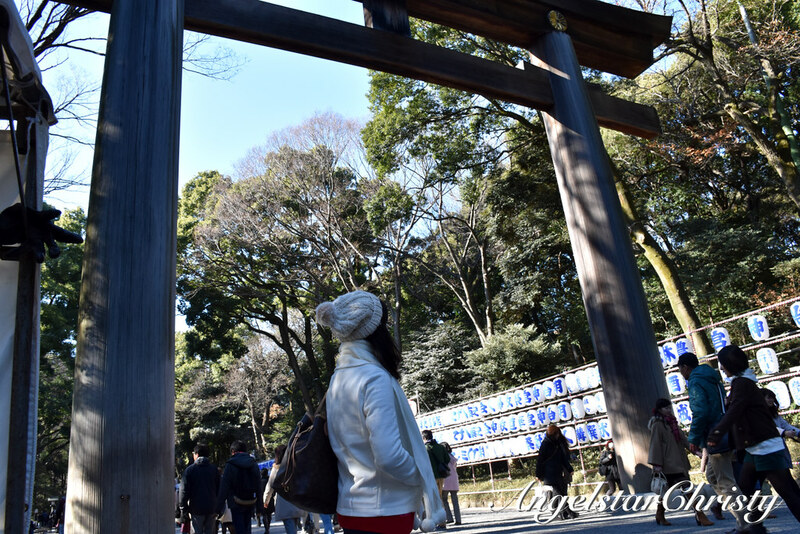 It is interesting but you will notice that most of them; the Japanese, will pause at the Torii, nearest to the entrance and at the entrance, and take a bow. I'm talking about one that involves bending your body and your head to a horizontal position. It is their way of showing their respect for their Emperor; as they reach the shrine. Maybe not everyone will be doing it; but majority was spotted doing so at the Torii. What's impressive is that even the young generation are spotted doing it; which keeps the traditions alive. 2. The washing of the hands before they enter the shrine for prayers. 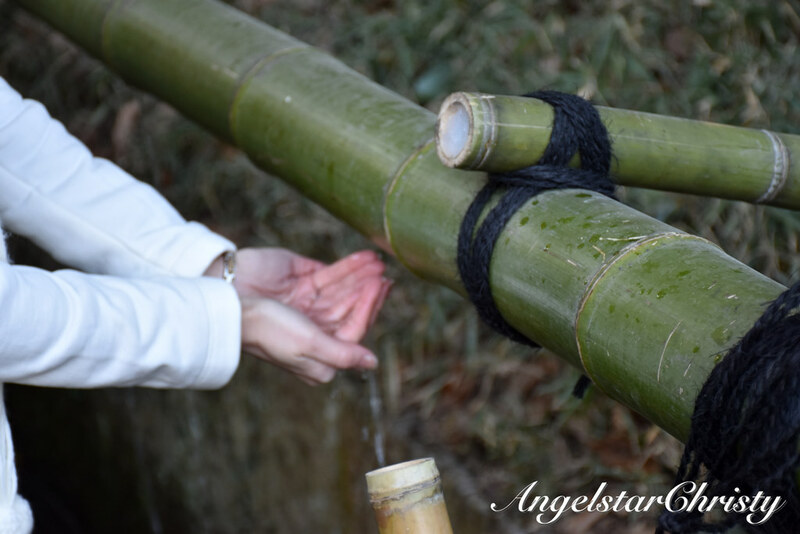 There are two; one is right from the bamboo pipes where water comes directly from the spring as one approaches the entrance. 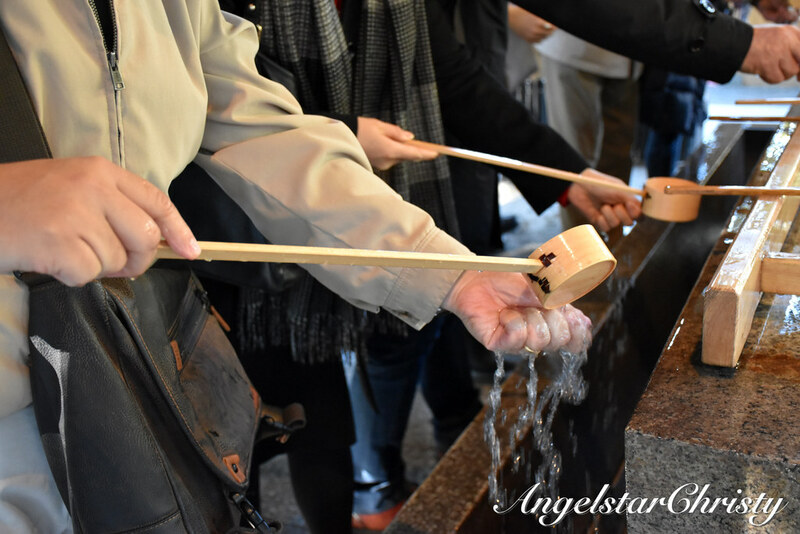 The other one is a hut built with wooden ladles placed on the washing area and people would queue to scoop the water to wash their hands before they head into the shrine for prayers. This is known as the Purification Trough. It is to cleanse themselves; a sign of purity as they enter a sacred place. 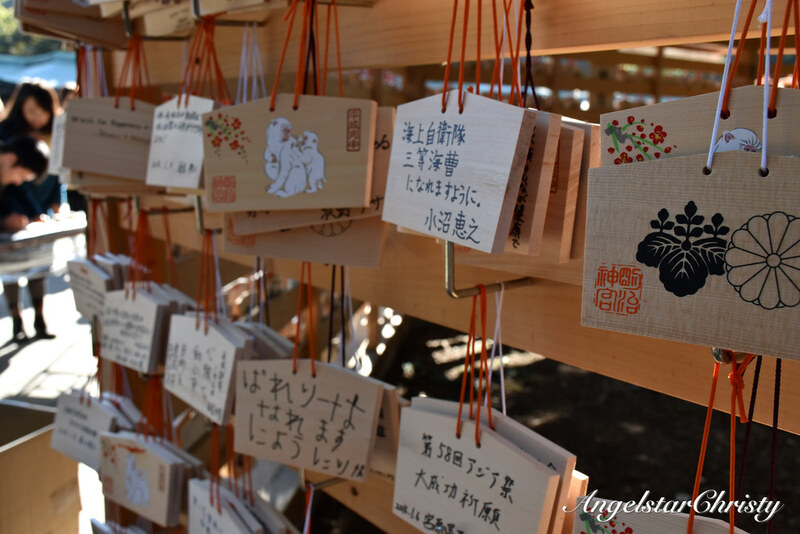 It is common to see these in every shrine or temple; just as the above two where they will write their wishes and prayers on wooden plates to be left hanging at the shrine where they hope to be granted. 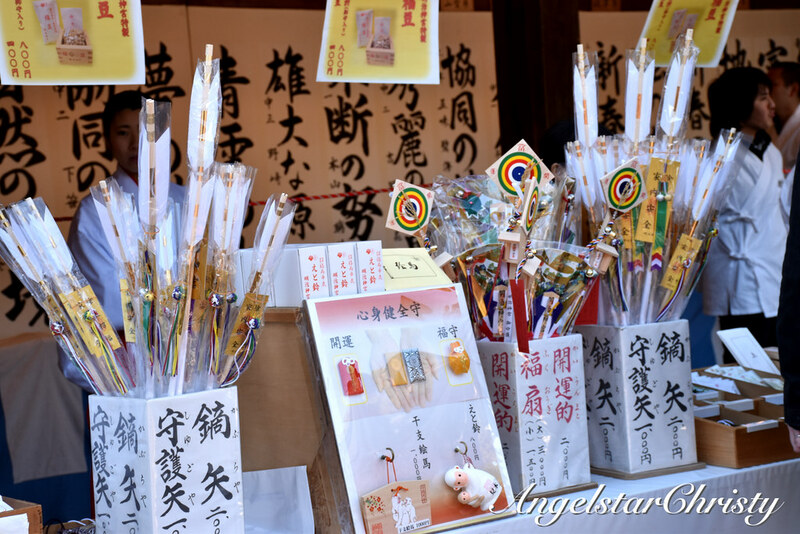 Common wishes found can be for good health, success in school/work/business, love, happiness, etc. The amulets are charms to protect one from harm and bring blessings of good luck and fortune, as believed and is a popular practice in Asia in general. 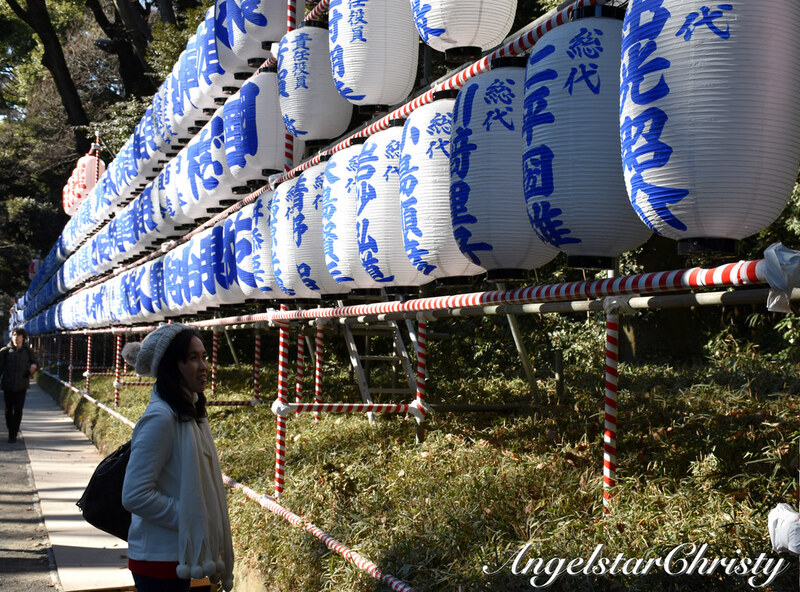 There is just no describing the many fascinating things observed on the grounds of one of Japan's most popular shrines. These are the things which we can see to provide that little window of perspective into the traditions and culture preserved by the Japanese until this very day. The physical attributes as featured and visible to the naked eye. What about those which we cannot see? I'm not talking about spirits or ghosts here; but more on the key learnings we can take away from the Japanese, just from the observations of their local culture on this very ground. 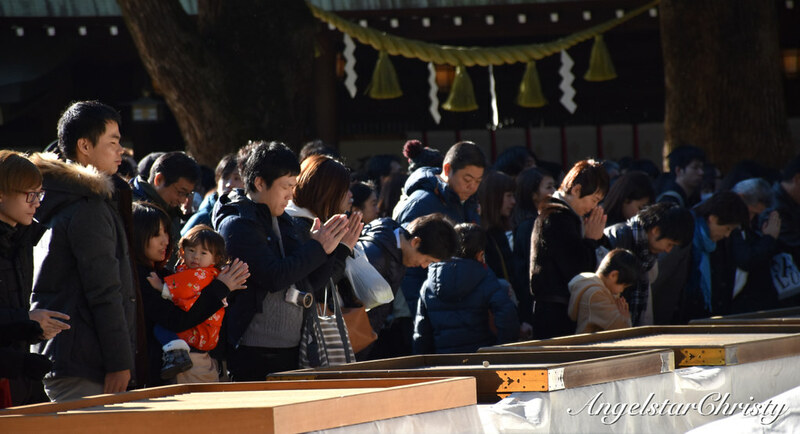 It is clear that the Japanese are respectful of their Emperor; the way they honor through the bowing and even heading to visit, pay their respects and making their prayers when the New Year approaches. 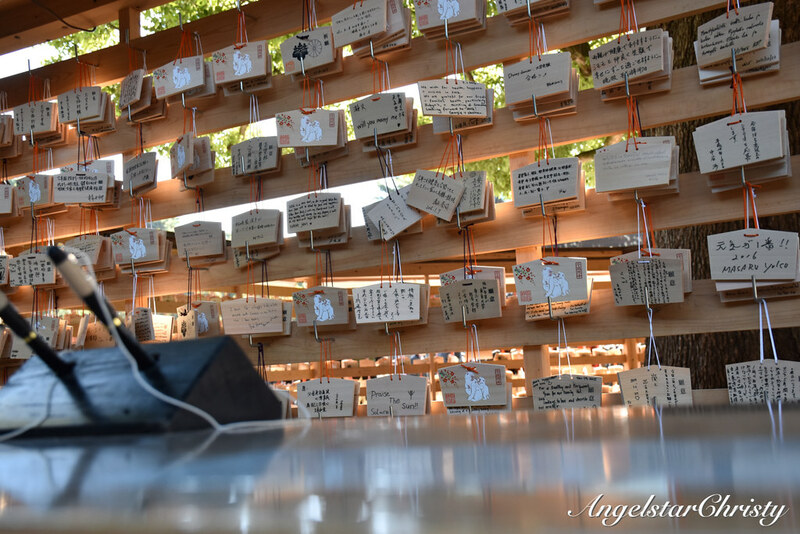 But the grounds of Meiji Shrine hold more than just respect and honor. It is also a tale of Love, Loyalty, and nationalism as you can see. The Japanese love their Emperor and their own country; preserving the old traditions and keeping their culture very much alive, regardless of age and gender. Then there comes the obedience and mannerism; for the Japanese are rule followers. 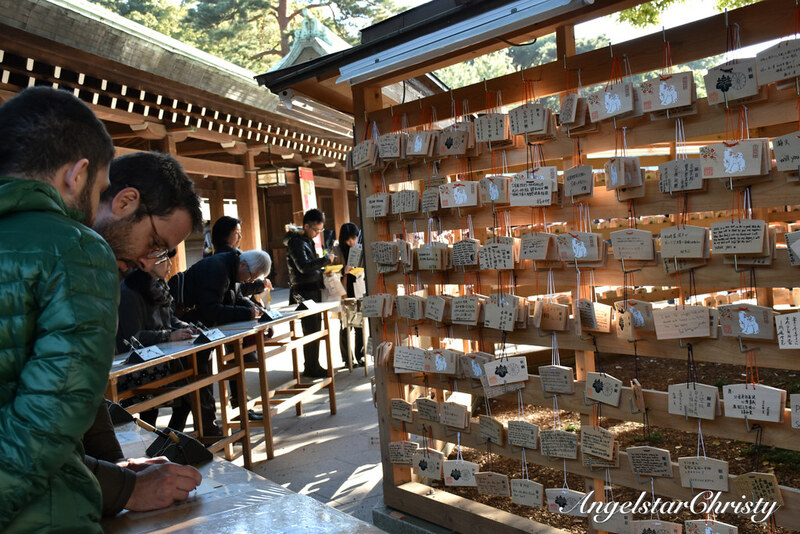 They obey the regulations even when it means waiting in line for hours to just make a simple prayer or offering. I mean it, I observed that there are wardens who will give the instructions and the Japanese would just follow and Stay, really, STAY in line until it is their turn. There is no such thing as shoving or cutting the queue. Meiji Shrine is today one of the most popular shrines in not only Tokyo, but also Japan, and is one of the top tourist attractions; hitting more than 3 million visitors in a year (or more) and is especially crowded towards the end of the year where the locals rush to make their New Year prayers and offerings. 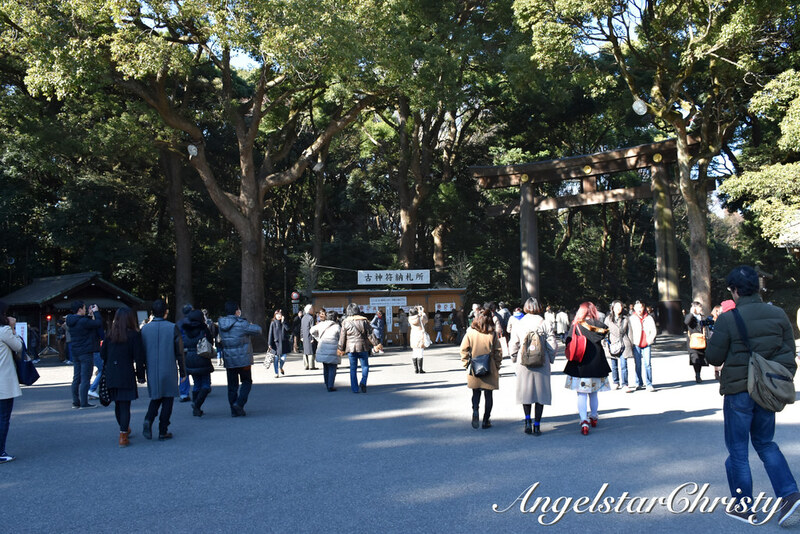 The Meiji Shrine today is a reconstruction of the original site; which was completed in 1920; eight years after the death of Emperor Meiji who passed in 1912. It was a national project; where local youths and organizations partake in; contributing financially and even in labor. 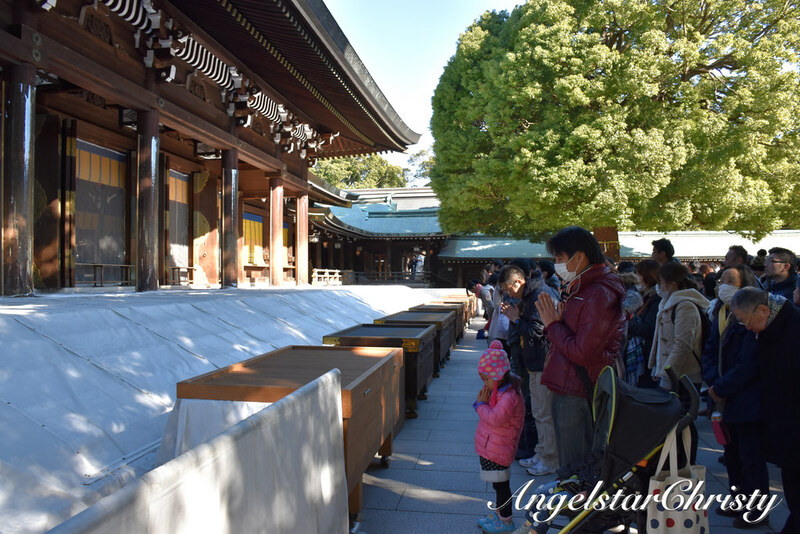 This original shrine was destroyed during World War II; in the Tokyo Air Raids and what we see today is a restoration from 1958 which was accomplished through the public funding. It is a dedication in loving memory of a great Emperor, and the grounds are treated with respect for that purpose. 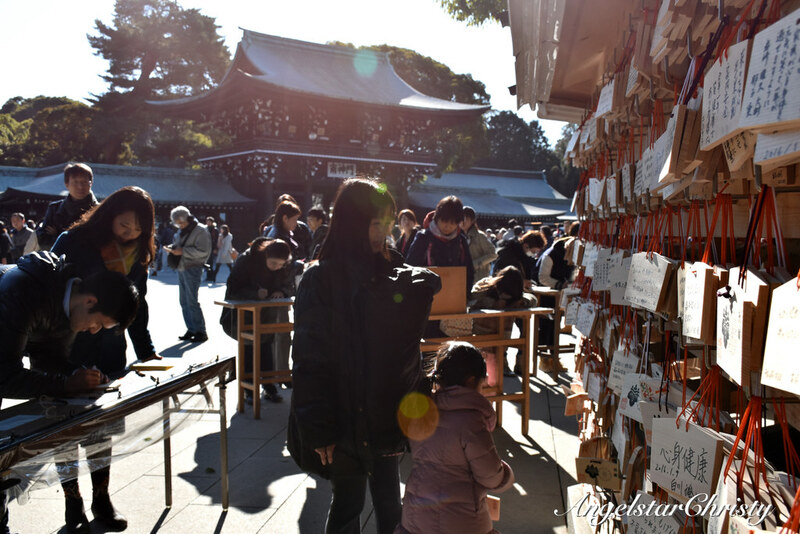 But that is not all the hallowed grounds of Meiji Shrine holds; far beyond the mesmerizing traditional architecture and the cultural practices, there are just unspoken and unseen messages which remain on the very grounds. The architecture and physical structures are there for one to see and hold, but the unseen lies in what can be felt with one's heart and touches one soul. It is the beauty of a nation's love, Faith, unity, patriotism, nationalism, loyalty, honor and above all, it is about Gratitude. That is what keeps the memories and even the spirits of the Japanese alive till this very day; remembering what, where, how and who brought them to where they are today. 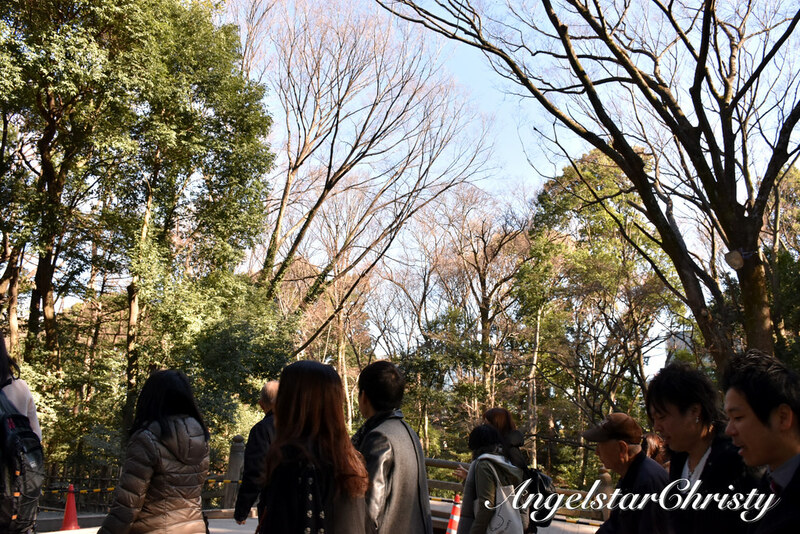 THAT, is truly the beauty of Meiji Shrine that cannot be seen. *Homotsuden (Memorial Picture Gallery) is only open on weekends and National Public Holidays. Take the JR Yamamote Line (山手線, Yamanote-sen) and get off at Harajuku Station. 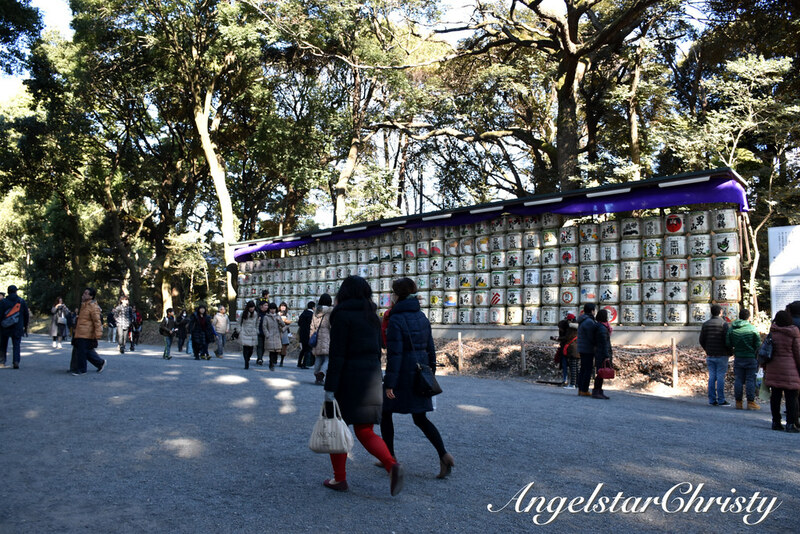 You can then follow the signs to lead you to Meiji Shrine. Alternatively the Fukutoshin Line can also get you to this station. If you need more help, do ask the locals or the best would be to consult the officers on duty at the train station directly. They can still understand you if you speak English, although it would be recommended to write down the name (if possible) in Japanese. Generally the Japanese are very helpful, and they will try their best to help you. 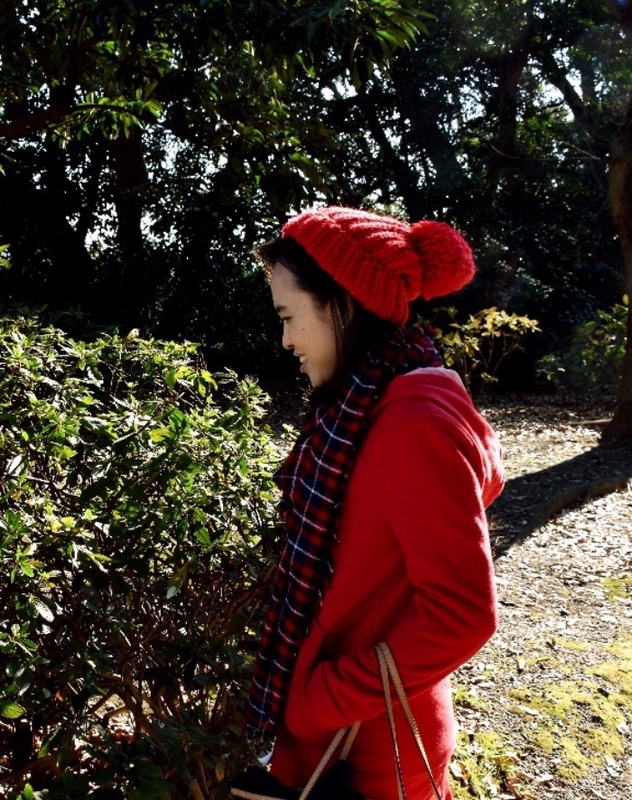 Places nearby you could head to after Meiji Shrine would be the Harajuku area or Shibuya (in my upcoming posts).